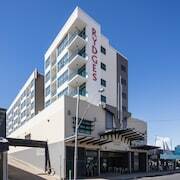 Good inner city location close to bars and entertainment. Close to airport Soft bed makes for a bad sleep. Otherwise it is good for a stopover when flying early or late. 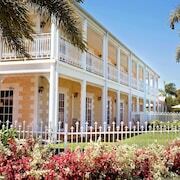 All Staff very courteous and helpful.Having breaky included was great. Nice hotel, next morning they had a heap of school kids arrive so we were quite rushed to get out at 9am instead of 10am. Room was clean. Just like avocado on toast and binge-watching TV, travel is up there with the best things in life. 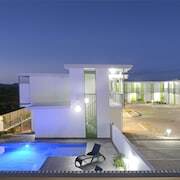 And if your travels take you to Mackay, you'll find an epic range of hotels to pick from. Base yourself within easy reach of the action if you want to experience this destination's real buzz. 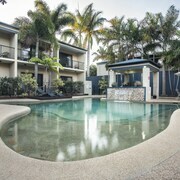 lastminute.com.au offers 47 hotels within 5 kilometres of downtown Mackay. Did someone say 'spoiled for choice'? After a big night out, kick back in bed with a movie at International Lodge or the Miners Lodge Motor Inn. They're both a small trip away from the heart of everything. If they don't tickle you pink, the Direct Hotels - Pacific Sands and the Potters Oceanside Motel are also close by. The neighbourhood of North Mackay is only 2 kilometres away from the city's heart. Nevertheless, if you're eager to crash here, you better get to it! The only place available is the Motel Northview Mackay. Schedule some time to see Queens Park Orchid House, where the flowers on show will make any experienced gardener feel inspired. If you're wanting to stay close by, suss out Ocean International and Econo Lodge Beachside Simple as! Orchid Display House is a horticultural greenhouse where rare plants are displayed and maintained for present and future generations. If you'd rather hang out near this attraction, consider the BIG4 Mackay Marine Tourist Park and Kooyong Hotel. Want more options? 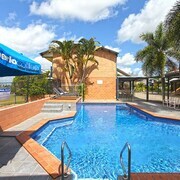 The Comfort Resort Blue Pacific is located 10 kilometres away from the main central district, and the Clarion Hotel Mackay Marina is 5 kilometres away. The Mackay Rose Motel, 3 kilometres away, and the Windmill Motel and Events Centre, 4 kilometres away, are some further options. If you want to get more out of your getaway, head out into the wider Whitsundays region and explore some of its amazing beaches and rainforest. You could also try your hand at popular local pursuits like hiking and shore fishing. No matter what type of holiday you're after, you won't have to look too hard to find fantastic things to do in this corner of Australia. If you're thinking about an adventure to the Sarina Golf Course and the Sarina Tourist Art & Craft Centre, why not suss out the room situation in Sarina? 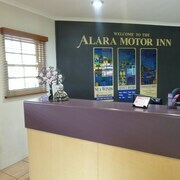 Sarina accommodation options include the Sarina Motor Inn and Tramway Motel. Sick of trying to nod off in a cabin seat? Dying for a warm shower? 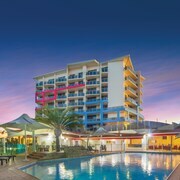 Then pick up a room at the Riviera Mackay. It's pretty close to Mackay Airport, which is 4 kilometres from the centre of Mackay.